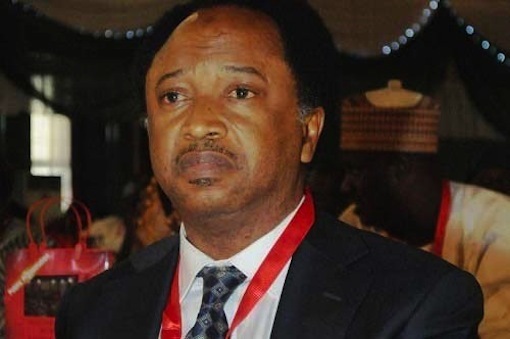 The Chairman, Senate Committee on Local and Foreign Debt, Sen. Shehu Sani, has said Kaduna Government’s request for a 350-million-dollar loan was rejected due to the state’s high debt profile. Sani told the News Agency of Nigeria (NAN) on Monday in Abuja that the senators from the state supported the rejection of the request. According to him, approving the loan for a state with a high debt profile will put a lot of burden on future generations of the state. The Senate had on March 29, rejected the World Bank loan sought by the Kaduna State Government for developmental projects. Sani, who represents Kaduna Central, vowed not to be part of any move that would jeopardise the lives of unborn children in the state. “We rejected the loan to save the children of Kaduna state from the slavery of debt that will overtake them in the future. “Most political elite leave behind for their children, hotels, houses, mansions and estates, but they leave mountains of debts for the children of the poor. “I do not see the reason why state governors cannot use the Paris Refund, the bailout funds and Excess Crude Account distributions to execute their projects and programmes. Why must they go for loans? “If the loan is even reasonable, you will look at it from that point of view. The tenure of a government is at most eight years and you leave behind 20, 30, 40 years of loan for people to pay,’’ he said. “It is my duty as the chairman of the committee to do what I need to do to save a state that is already in so much debt. “We had to turn down the request. If it is me, people will say I have a running battle with the governor but the other two senators are equally opposed to it,” the lawmaker explained. Sani, who is also Vice Chairman, Senate Committee on Foreign Affairs, stressed that obtaining a loan for a state that did not have vibrant industrial sector would be a burden on citizens. He said “we were not convinced, that is the fact. You cannot take half a billion dollar debt for a state that does not have any functional industry. “All the textile industries in the state have closed down and the several cases of kidnap in the state have driven many people out of town. “So, the governor should use the meagre resources available to run the state.